Home Gardening Guide 12 Great Tips For Starting A Kitchen Garden Every Beginner Should Know! 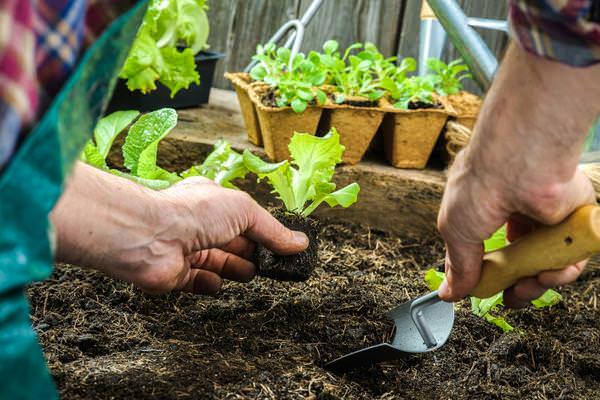 12 Great Tips For Starting A Kitchen Garden Every Beginner Should Know! 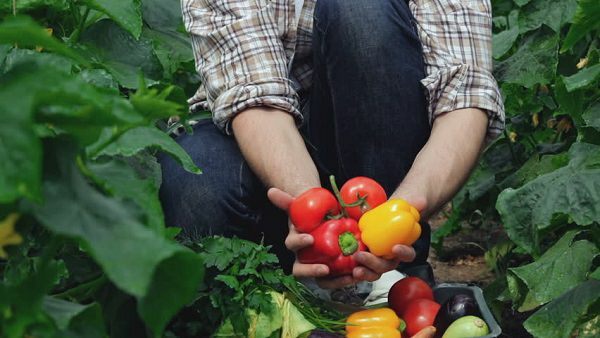 Check out the 12 best beginner tips, if you’re starting a Kitchen Garden to grow your own flavorful fruits, aromatic herbs, and fresh vegetables! 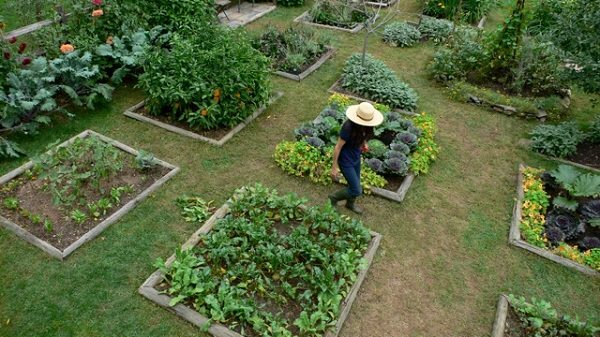 The perfect site for a kitchen garden is one that receives plenty of sun and has a reserved area that is partially shaded so that you can grow all your shade-loving herbs and vegetables there. Also, it should have good drainage and soil. One way to check drainage is by checking the area after a downpour. If puddles form, it’s not suitable for a kitchen garden, but if the water seems to seep in or flow away rather quickly, it’s fine. Choosing a flat area devoid of roots and rocks makes it easier to till and prepare the soil prior to planting. In case, the soil lacks good drainage, consider creating raised beds that allow plants to grow above the ground level. And if you lack a gardening space, starting a vegetable garden on a patio, balcony, rooftop or even on a sunny windowsill is also possible. 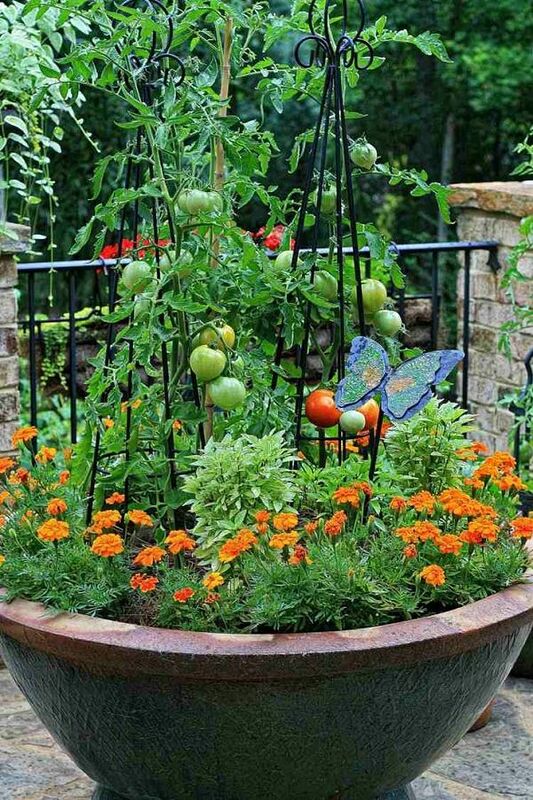 Vegetables like tomatoes, leafy greens, peppers grow easily in pots. Here’s a list of vegetables that grow well in containers! Pay attention to how you arrange your crops. Spacing out well is the key to get a good yield from each bed. 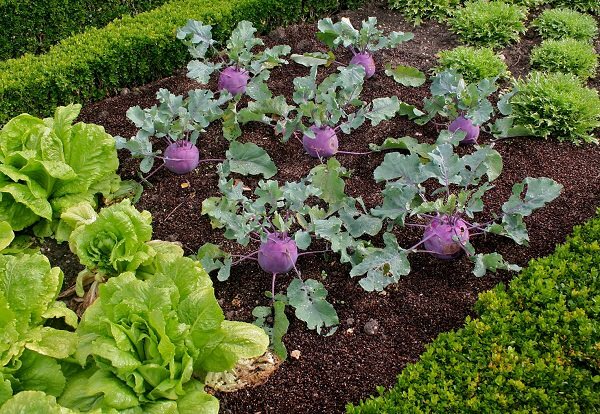 Planting in rows or square patterns is common but you can try to plant your vegetables in the triangular pattern. This way you can tuck in up to 15% more plants in each bed. Ensure not to cram them up in your planting beds. Plants don’t reach their full potential (in terms of size and yield) when crowded. Here is a planting space guide for your reference. Succession planting can help you in improving the productivity of your kitchen garden and also provides the constant supply of vegetables. Here’s the more of it! 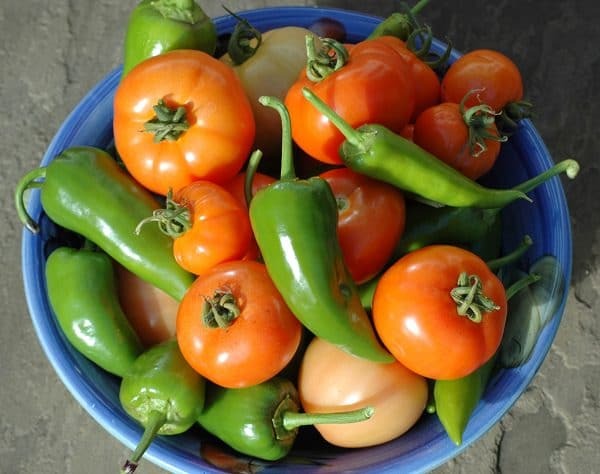 You don’t have to wait for the garden crops to mature before starting the next batch. 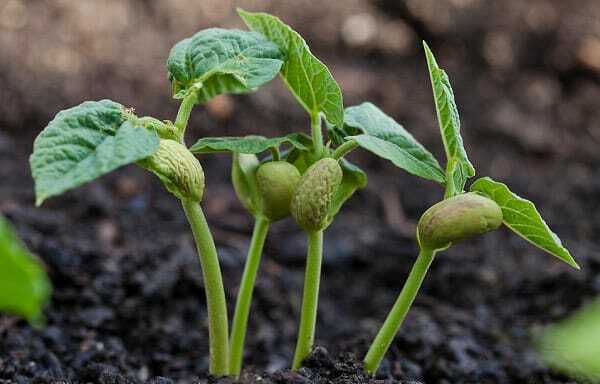 Sowing seeds in pots can give them a good head start, and even preclude the setbacks that arise when the seeds struggle to adapt to the garden soil. Once there is enough space, you can transplant mature seedlings on the soil instead of sowing seeds. Since the transplants are a couple of weeks old when you plant them, they will be healthier and adapt faster than the direct-seeded plants. Especially for those living in cooler zones, where summers are short. This way you’ll be able to harvest as many crops as you can before the growing season ends. So obviously, selecting crops that mature quickly is the most logical step. Learn about the companion planting and the vegetables and the herbs that do well together. You can plant veggies with the same growing requirements together. Learn more here! Interplanting compatible plants save space, repels regular pests and even makes your venture more productive in general. This classic three sister combo works because all three crops require the same sort of weather conditions. Robust cornstalks support beans, while squash grows on the ground, thereby outcompeting those pesky weeds. Marigolds are routinely planted among tomatoes to repel insects and nematodes. Basil, rosemary, sage, and parsley make worthy companions as well. 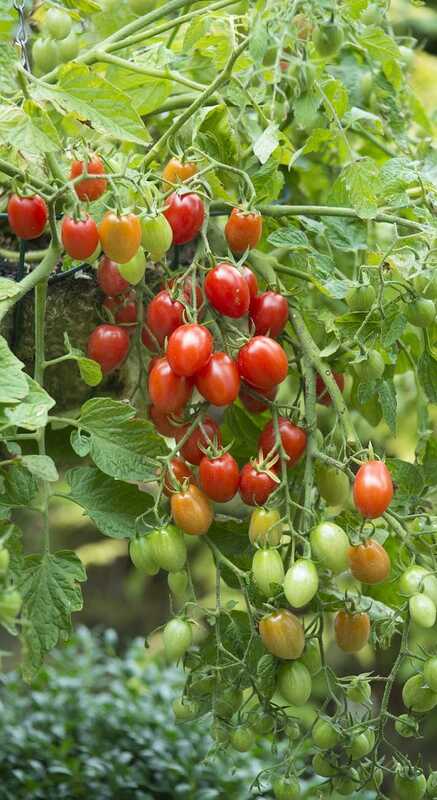 Remember, while tomatoes and potatoes are part of the same family, they do better when planted separately. Growing pepper alongside basil and chives is a great way to enhance the fiery flavors of pepper, as well as suppress weeds. Eggplant has a nitrogen requirement, which can be met by planting legumes in the same planting bed. Thyme helps to ward off insects, while spinach keeps the weeds in check while it prospers in the shade of eggplants as it prefers moist space that receives partial sun. 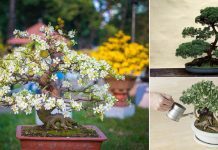 For more interplanting combinations, click here! 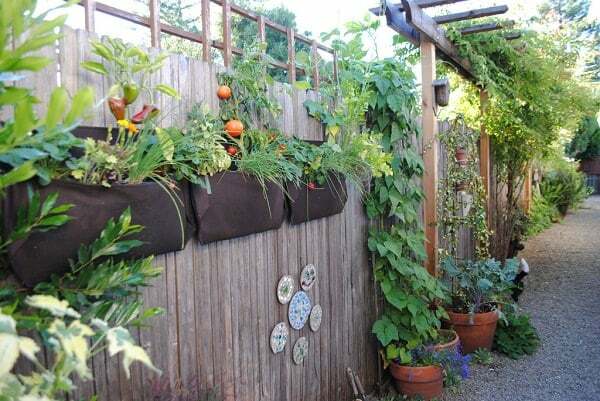 It basically involves growing support crops or companion plants on the garden bed and along the edges. The reason why these plants are so important is that they benefit the garden by offering mulch, protection from weeds, warding off pests and acting as windbreaks. Plants like basil, tansy, marigold, wormwood, nettles, lemongrass, comfrey can be used for this. 12. What to Grow When You’re Beginning? Think about the edibles you’re likely to eat most and plan out your kitchen garden accordingly. 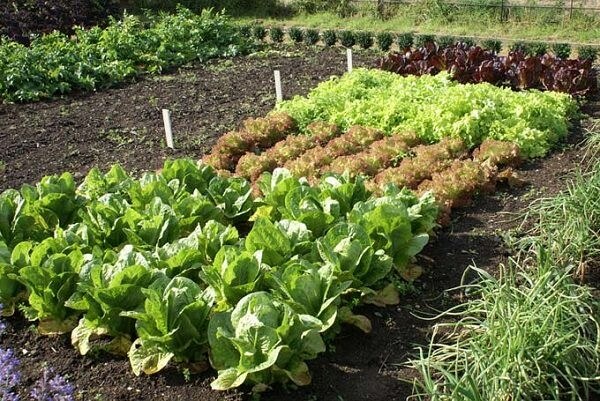 While most of the vegetable crops grow equally well in a variety of weather conditions, it’s always better to learn what grows best in your garden zone before making a final decision. Choose crops that grow fast. Grow plants with high yields, this is going to encourage you initially. 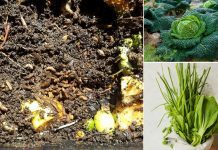 Select crops that don’t require a lot of care, and are less prone to pest infestation. Grow plants that can give multiple crops and allow you to stretch the growing season. For example, tomatoes will produce several crops over the season, but planting cauliflower will give you just one harvest. Herbs can be harvested regularly and growing them is a nice way to save up on expensive, store-bought options. Cut-and-come varieties of greens are the best and easiest to grow. 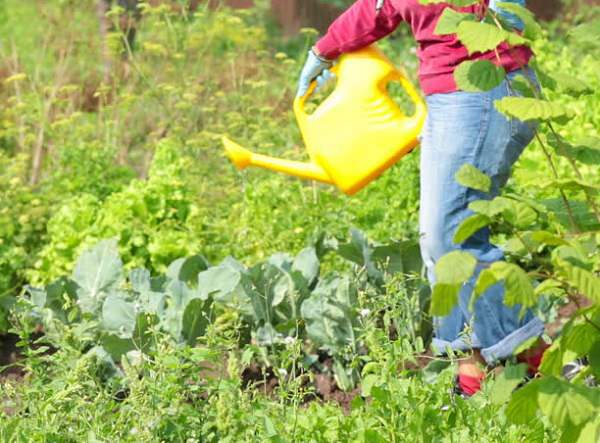 How Frequently to Water the Kitchen Garden? Since fruits and vegetables are 70% water, you’ll need to ensure your plants are getting a good soak regularly. This is even more important for young seedlings that haven’t yet formed a deep root structure. Your safest bet is to water the plants once every day when they’re establishing. Once the crops start to mature, they won’t need more than an inch of water every week. If you live in a hot area or place with sandy soil, water more frequently. Instead of throwing away your kitchen waste into the trash, recycle it. It’s easy and doesn’t require a lot of efforts. Learn more here! Consider using organic mulches such as newspaper, cardboard, rotted hay, chopped leaves, and grass clippings. 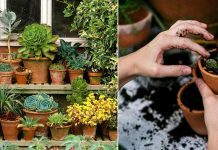 Well, being a beginner in developing trying to cultivate my skills in gardening and having limited garden space I have discovered this to be handy and very helpful to me. It came as my year’ s resolution. Looking forward to come back with positive results. Thank you for the various information I now have.